Please consider signing up to serve from 4:00-6:00 p.m. on Friday at fmsc.org/fargo. Our timeslot is full! On Friday, February 1 from 7 p.m. – 9 p.m. at Scheels Arena we will pack as many Manna Meals as possible during the Fargo-Moorhead Feed My Starving Children Mobile Pack event. Our city-wide goals are to see 14,000 volunteers pack 2,500,000 meals in 3 days at the Scheels Arena. 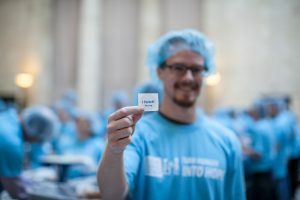 In case you missed it, that is 2.5 million meals! To accomplish such a big dream, we are working with area churches, non-profits, and businesses to raise $550,000. During this packing session, each volunteer will pack an average of $50 of food, which provides 216 meals and feeds a starving child for seven months! That’s less than 25 cents per meal! Feed My Starving Children (FMSC) is a Christian nonprofit committed to feeding God’s children hungry in body and spirit. 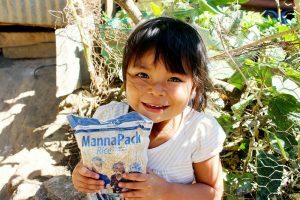 The approach is simple: children and adults hand-pack meals specifically formulated for undernourished children. FMSC meals are donated to partners worldwide and distributed every day in schools, orphanages, clinics, and feeding programs to deliver hope. We have signed on to a God-sized dream of having 1,000 volunteers serve together on February 1 from 7 p.m. – 9 p.m. Make a commitment to join us at Scheels Arena and help feed undernourished children around the world. High School Groups: At least half of the required chaperones must be non-students (teachers, advisors, parents). If needed, a few 18-year-olds will be allowed to fill in as chaperones. The minimum age to volunteer at FMSC is 5 years old. However, we recommend that groups of youth be 3rd grade and older. FMSC Staff reserve the right to amend volunteer scheduling. Jewelry and other accessories present the potential for foreign objects to accidentally fall into our lifesaving meals. To avoid the possibility of losing loose objects in any of its meals, FMSC requires that all jewelry and other accessories be removed. 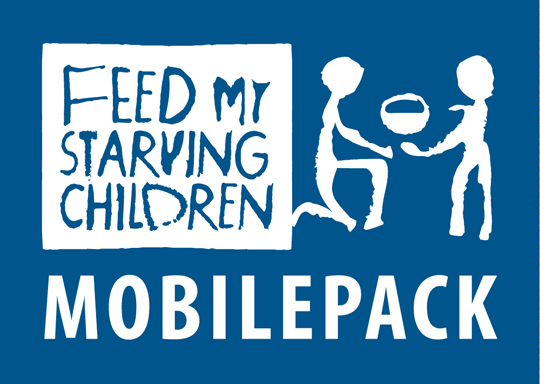 View the FMSC Corporate Sponsorship Guide for ways your local business can support the Mobile Pack. Sponsorships which include advertising begin at $500. We have 1,000+ signed up for Friday at 7:00-9:00 p.m. If you would still like to serve, please consider signing up to serve from 4:00-6:00 p.m. at www.fmsc.org/fargo. We have a God-sized dream of seeing more than 1,000 people from Bethel Church serving together. With us all working together, we will make 227,273 meals – enough to feed 622 kids 1 meal a day for an entire year!